Resisting daily wear and tear, the Turbo Air TOM-50W-N vertical open air cooler is made of durable stainless steel and has a white exterior. The self-cleaning condenser device brushes debris off the condenser every day to prevent system failure. The refrigeration system is self-contained and does not require plumbing. It has a front air intake and rear air discharge for efficient air flow. 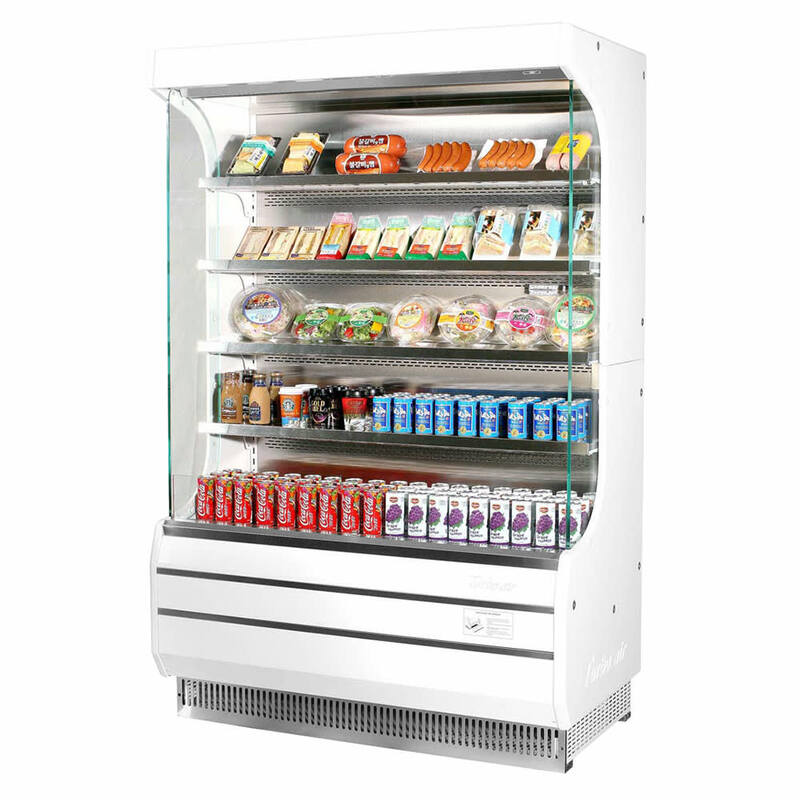 Viewing merchandise in the air cooler is simple with the LED interior lighting, and product can be placed inside the cooler on four solid stainless steel shelves. 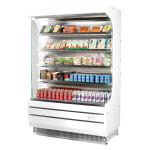 The Turbo Air TOM-50W-N open air merchandiser has a night curtain that can be used during slow hours to conserve energy. Not sure if a merchandiser is the right unit for your establishment? Get more information on these units from our article on open air coolers.